It’s game day. Whether you’re tailgating at the stadium or watching from home, it’s always better to have great food. 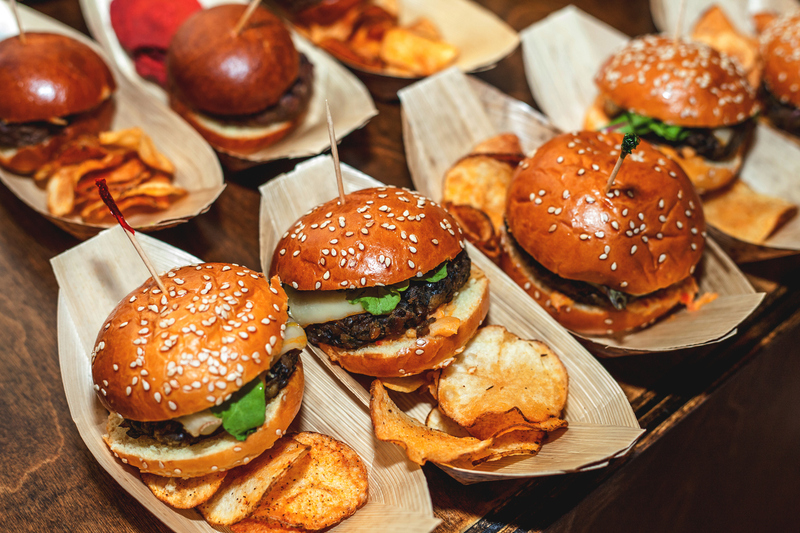 Our tailgate football sliders are the perfect thing to pump you up for the big game! These aren’t your typical sliders. Our recipe is for breakfast sliders. But don’t worry — they’re tasty no matter what time of day it is, and they’ll fill you up. You’ll have all the energy you need to cheer your team on to victory! Taking these sliders to the stadium is a cinch. Bake them in the morning, wrap them up and enjoy them before heading into the game. When you fill up before going inside, you can save some money by avoiding buying expensive stadium food. Serve them at your college football tailgate party right at home. Your guests won’t be able to get enough of them — you might have to make more than one batch! Even when it isn’t game day, these sliders are great for any party or just as a dinner for your family. Once you make these sliders once, you’ll surely be making them again and again. Cook the bacon evenly on both sides until it is crispy, or for about eight minutes. Transfer the bacon to a paper towel-lined plate and let it dry. Crumble the bacon. Combine the beef with salt, pepper and garlic powder. Add to a 9×13″ baking dish and gently smooth the meat to create an even layer. Bake for 20 minutes, remove liquid and set aside. In a 9x13x2″ baking dish or disposable aluminum baking container, line the bottom half of the slider buns. Cut and add beef to fit each slider. Sprinkle 2 cups of the shredded cheddar evenly overtop the meat. In a bowl, beat the eggs, milk, thyme, onion powder, green onion, salt, and black pepper. In a large skillet, melt 1 tablespoon of butter and cook the eggs to your desired consistency. When the eggs are done, add them on top of the shredded cheese. Top the eggs with the crumbled bacon pieces. Sprinkle the remaining cheese over the bacon and add the top slider buns. Melt the remaining 1 tablespoon of butter and mix in the maple syrup. Brush the mixture on the top buns. Bake the sliders for 10 to 15 minutes. The cheese should be melted, and the top buns should be golden. Add lettuce and onions if desired. Serve. We know you want to feed your family meals made with the best ingredients — that’s why you buy fresh veggies, make healthy snacks, and serve nutritious meals. When you cook with Sauder Eggs, you never have to worry about quality. We partner with farmers who agree with our approach because we want to bring you the freshest, highest quality eggs we can. Use our store locator today to find the nearest store with Sauder Eggs.